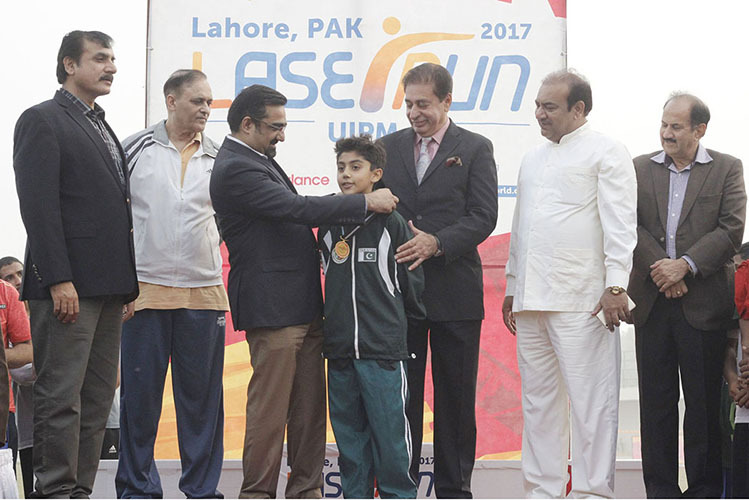 LAHORE: The Laser-Run competition was organised by Sports Board Punjab and Pakistan Modern Pentathlon Federation in which male and female students from various schools and colleges took part. 1st Mekhail Manais Ijaz 530, 2nd Mehwish 495, 3rd Ateeqa Anees 405. Modern Pentathlon according to Wikipedia is an Olympic sport that comprises five different events; fencing (one-touch épée), swimming (200m freestyle), equestrian show jumping (15 jumps), and a final combined event, now referred to as the Laser-Run. 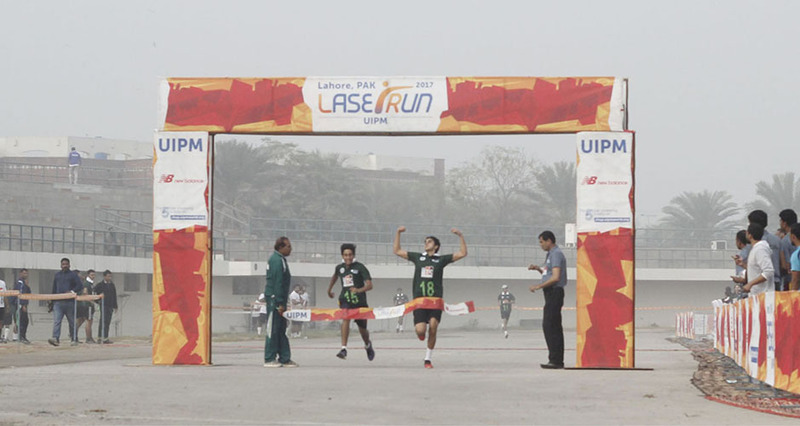 The Laser-Run alternates four legs of laser pistol shooting followed by an 800m run (3200m in total). The event is inspired by the traditional pentathlon held during the ancient Olympics; as the original events were patterned on the skills needed by an ideal Greek soldier of the era, the modern pentathlon is similarly patterned on events representing the skills needed by cavalry behind enemy lines. The sport has been a core sport of the Olympic Games since 1912 despite attempts to remove it. A world championships for modern pentathlon has been held annually since 1949. Originally the competition took place over four or five days; in 1996 a one-day format was adopted in an effort to be more audience-friendly. Modern pentathlon, despite its long Olympic history, has had to justify its inclusion in the modern Olympic Games several times. On February 11, 2013 in Lausanne, the IOC confirmed modern pentathlon once again as one of the 25 core sports of the Olympic program through to 2020. The governing body, Union Internationale de Pentathlon Moderne (UIPM), administers the international sport in more than 90 countries in all the continents of the world.